Workplace Bullying Allegations: Why they don't get resolved and how they can! The 'traditional' approach to workplace bullying allegations is to use an adversarial, investigative process to try to 'prove' that bullying has occurred. High recruitment and re-training costs in order to replace lost staff. So WHY are these outcomes not 'inevitable' and WHAT IS a more constructive approach? Stepping out of the Circle of Blame to Create an Effective Outcome for All! This isn't a 'theory based' book. It draws upon direct experiences of situations where workplace bullying has been alleged and then resolved effectively through an approach which is always directed towards successfully improving and rebuilding working relationships. Workplace bullying allegations do not have to mean team-breakdown, loss of staff, employment tribunals and long, arduous, ineffective grievance procedures. Of course it is a difficult time when such allegations are made but the focus does not have to be on 'damage limitation' - it can be a genuine opportunity for learning, change and renewed and improved working relationships within your organisation, and consequently, improved productivity, enhanced employee morale, satisfaction and engagement. "The problem with bullying in the workplace is that traditional responses to allegations that it is happening require the person who feels bullied and anyone who is helping them with their concerns to ‘Prove it!’. While those who feel bullied may see their experience as ‘obviously bullying’, there will be others who do not, including of course the person who they consider to be ‘the bully’. This expectation of proof of bullying becomes an immediate obstacle in moving forward in any difficult situation or relationship in the workplace. The various definitions of bullying that can be found in dictionaries or guidelines or in articles online and in the printed press read as if they are very clear. But when used as a basis for assessing whether bullying has taken place they are ambiguously interpreted because of the subjectivity of the perceptions of those involved. .........This is the bad news in relation to bullying. From the very start of any procedure designed to ‘tackle’ it by proving it has occurred there is ambiguity for anyone involved, whether the person who feels bullied, the person they see as ‘the bully’ or any managers or Human Resources officers who are required to deal with it. The consequence of this is a circle of finger-pointing - blame and accusations and counter-accusations of bullying, incompetence, conspiracy, lack of care, burying of heads in the sand and so very little change, if any, occurs in the majority of cases where bullying is alleged. To let go of the focus on ‘bullying’! As I will discuss in the next chapter, the ways in which I have seen people resolve workplace disputes where originally there have been accusations of bullying and harassment have been where the term ‘bullying’ retreats from the discussion. When this happens, a more useful, detailed discussion relevant to the unique circumstances and perceptions of those involved can occur, enabling, and expecting them to create their own answers to their difficult working relationship." Click the image below and Buy the Book on Amazon - Paperback or Kindle! Concerns about bullying in your workplace? If you are based in the UK and would like training or consultancy to help you deal with allegations of workplace bullying in a way that supports the creation of more effective working relationships please contact Alan Sharland on 020 3371 7507. Please also call this number if you want mediation for your staff or conflict coaching for yourself. Alternatively please use the CAOS Conflict Management Contact Page to make your enquiry. If you are based outside of the UK and would like Conflict Coaching or other support via Skype, please also use the CAOS contact page to make your enquiry or request. 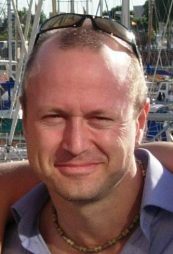 I'm Alan Sharland, creator the Communication and Conflict website and author of the book referred to on this webpage. I have written various other articles on the topic of bullying and the ways in which it is commonly responded to which do not work in a way that enables people to feel satisfied that the situation has been resolved. There has been a vast 'industry' grown up around the issue of bullying in the workplace over the last 10-15 years but often it seems to want to encourage doing 'more of the same', not recognising, it seems, the ineffectiveness of the standard approach to allegations of bullying. 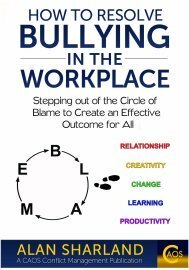 This book recounts my experiences as a mediator and conflict coach where people have, themselves, resolved their difficult workplace relationships, where bullying has been alleged. Through the opportunity to reflect on the difficulties experienced and the opportunity to create more acceptable, constructive ways forward, people involved from 'all sides' of the workplace bullying allegation have been able to create a vastly improved working relationship from the 'debris' of the broken relationship that previously existed. The difficulty of 'proving' bullying has occurred becomes a distraction from moving towards the creation of a better working relationship and the opportunity to acknowledge the impact of the respective behaviours of the person alleged to be the bully and the person alleging bullying has occurred. Here's another article entitled 'What is a Bully?' that may be of interest to you. Thank you for your interest in this topic and I hope you find the book interesting and useful if you go ahead and purchase it. You may find some image links that do not have the 'Circle of Blame' cover on it as this was a later version of the book. All versions now being sold will have this cover on it. Please feel free to contact me at CAOS Conflict Management (opens a new page on a different website) if you have any questions or place a comment in the comments box at the bottom of this webpage. 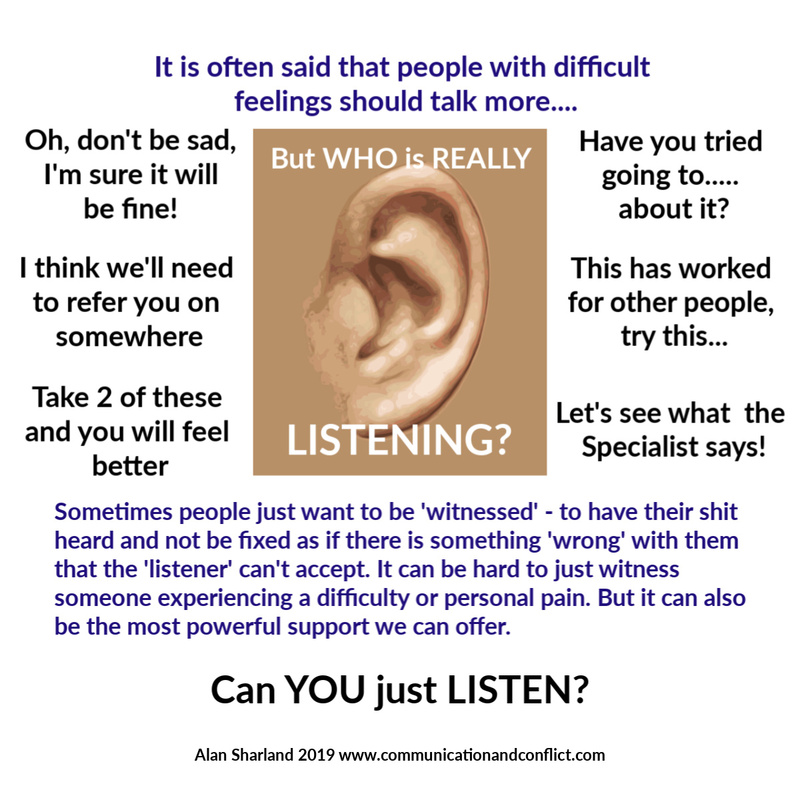 A listening exercise which enables participants to reflect on the experience of listening and being listened to and what this tells us about effective listening. This page describes a training exercise used to explore the assumptions we make about others when we meet them and how this affects communication and conflict. This was awesome! A great supplement to what I already teach. I can't wait to post it on my website! You are doing a great service. Thank you! Thank You! 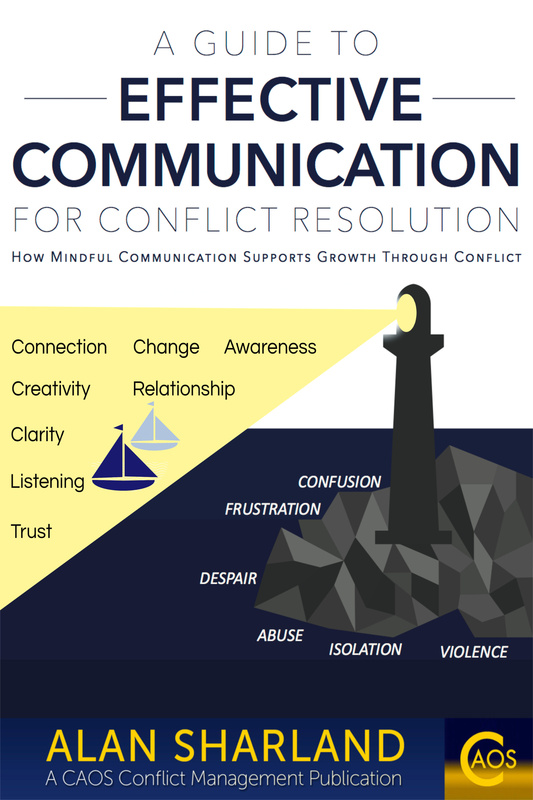 This page gives links to websites that promote a similar approach to communication and conflict resolution to that described on this site.